Bridal hair accessory made on a shinny satin fabric. 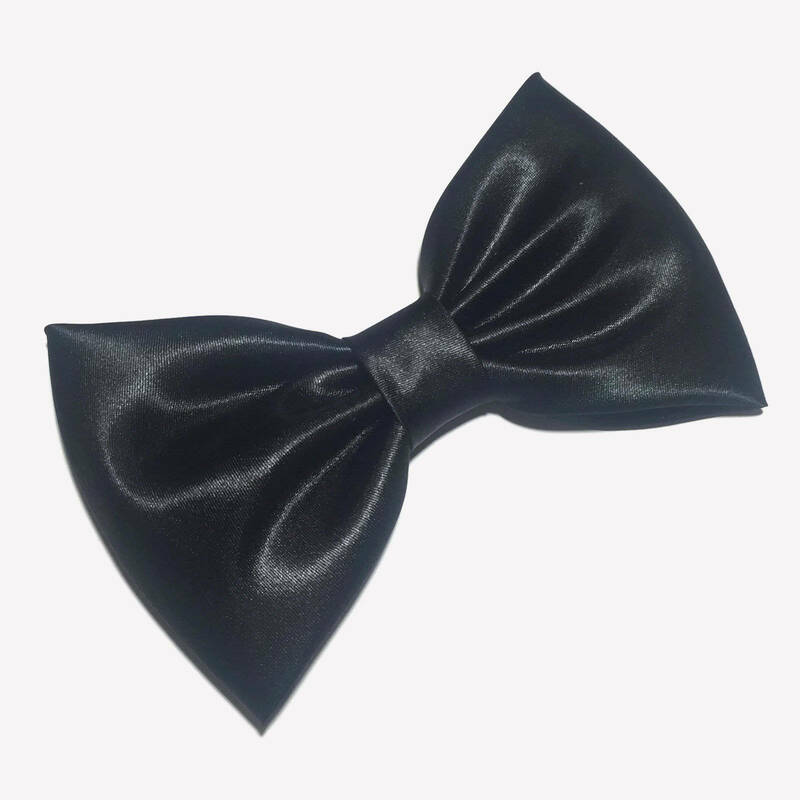 This black hair bow is a great accessory to embellish a flower girl’s hair, to add a touch of stylishness to a Sunday dress, to enhance a pageant outfit, or to stand out as the birthday girl. It is also a great gift for a girl of any age. 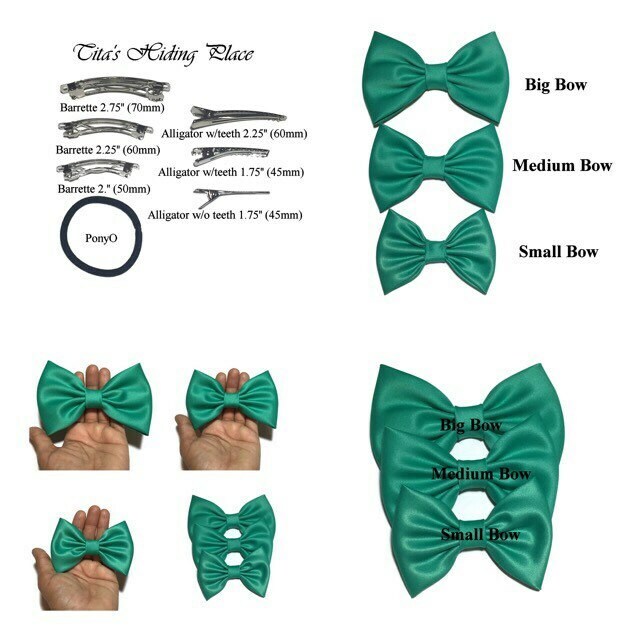 The Big Bow is 5.5 in by 3.5 in (14 cm by 8.9 cm approx. )- Shown on head mannequin. 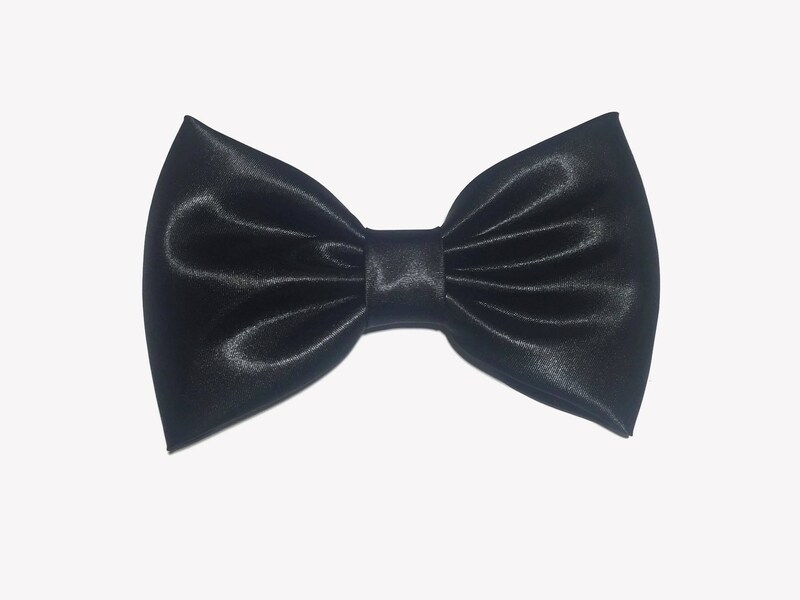 I ordered 4 black satin bows, 2 large, 1 medium and 1 small as I wasn’t quite sure exactly which size/type I wanted to use. I love all of them!! I ended up using a large with a pony-o in my 2 year olds hair to match her black dress she wore to a funeral. It was absolutely darling! The satin bow just made her outfit that much cuter and all day we received complements. Shipped fast and exactly as described! 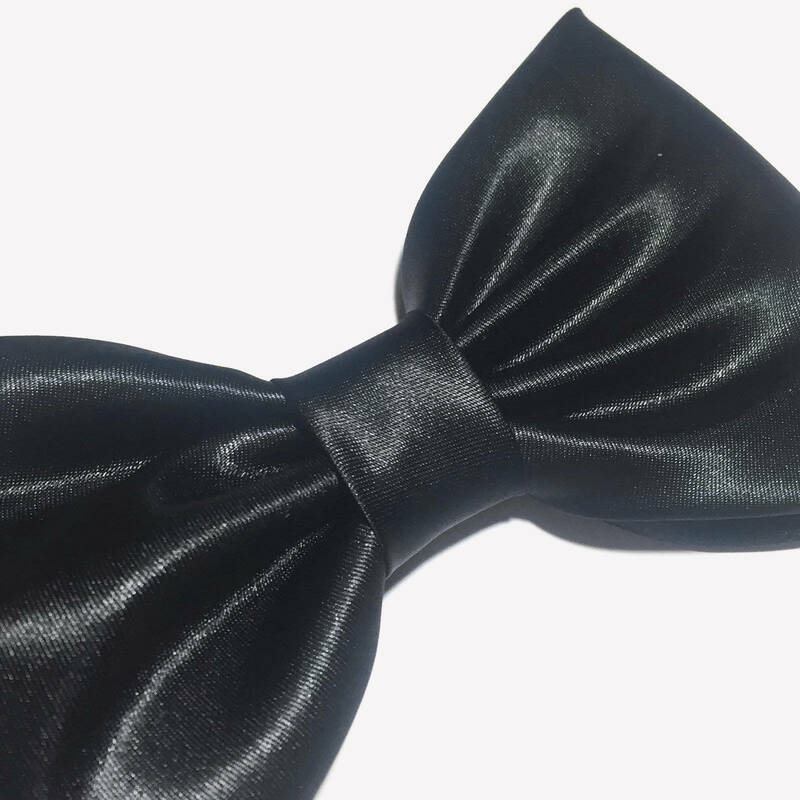 Lovely bow that came in a lovely package as well... thank you!